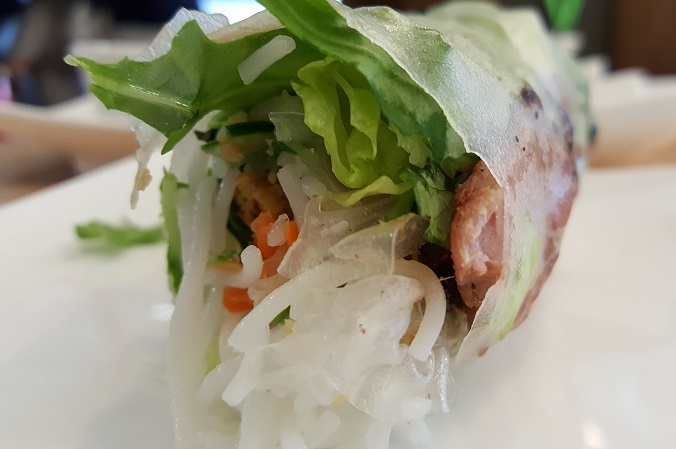 Saigon Noodle House Serves Up Vietnamese Favorites! Saigon Noodle House in Avondale Brings Traditional Vietnamese Dishes to Downtown Birmingham! 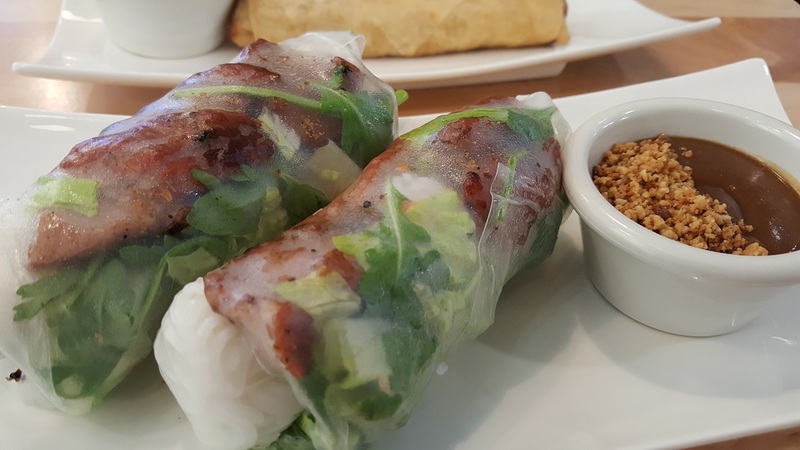 As much as Birmingham misses that great music venue, Saigon Noodle House has done a great job of keeping the energy alive by serving up some authentic Vietnamese food in a fun atmosphere! 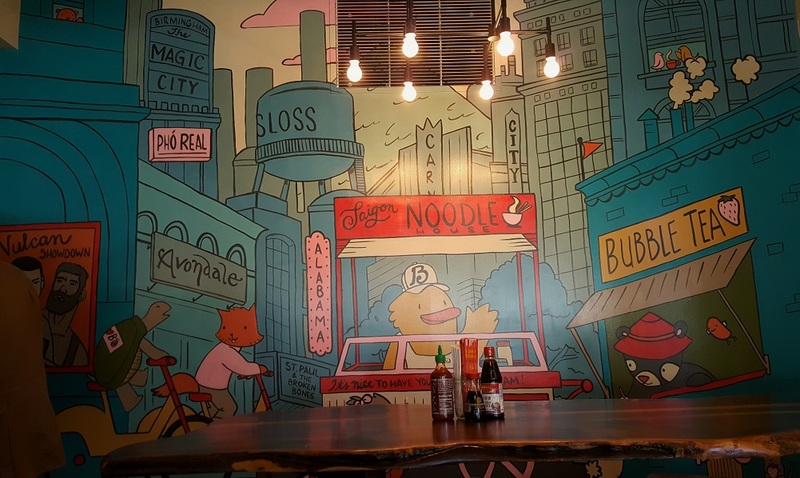 From a mural by a local artist that is full of Birmingham "easter eggs" to vibrant colors and a patio ping pong table, Saigon definitely encourages patrons to have fun while dining on great food! We stopped in to try the #WRW2017 lunch menu. Amber is Filipino, so we LOVE Asian cuisine! For a fast-casual concept, the food is not only fresh it's on par with high-end Vietnamese places we have tried in the past. The lunch menu allows for an appetizer and entrée. 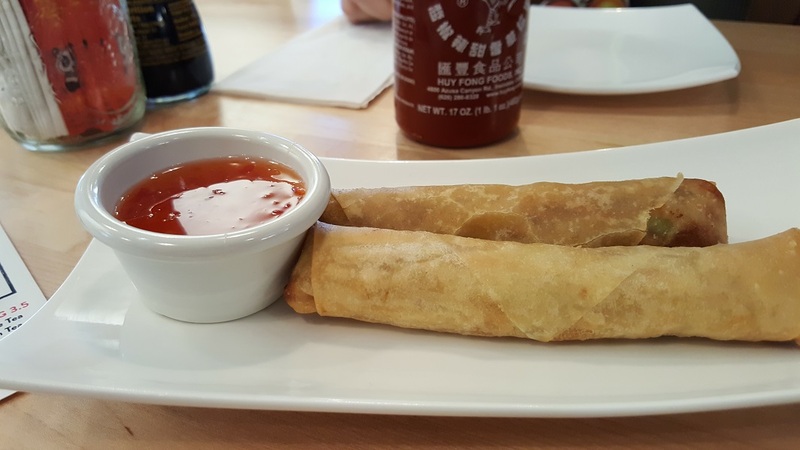 We tried both the Spring Rolls and Egg Rolls. There are five, yes FIVE, different options for Spring Rolls! We opted for the pork option and they did not disappoint! They are stuffed with rice noodles, charbroiled pork, lettuce, and carrots. The two rolls come with a side of peanut sauce for dipping. These are very filling! 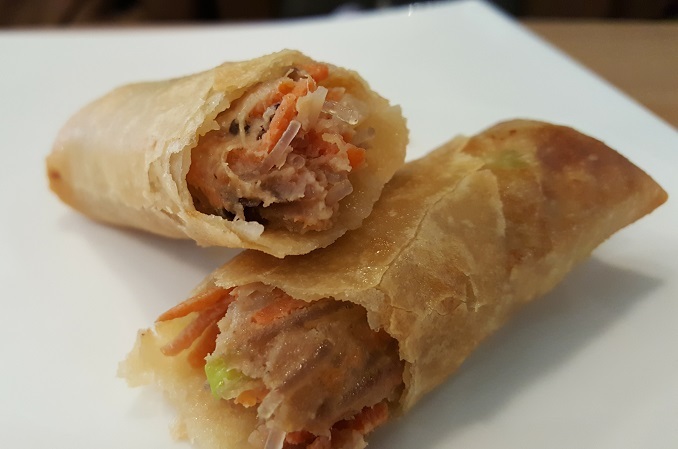 The Egg Rolls are long and narrow and remind us of Filipino Lumpia, a favorite of ours! They contained pork, noodles, mushrooms, onions, and carrots. The rolls are served with a sweet and spicy dipping sauce that added even more flavor! For our main dish we ordered the Banh Mi, a traditional Vietnamese sandwich, the Cabbage Patch Salad. The Saigon Salad is also an option as well as three different types of Pho. 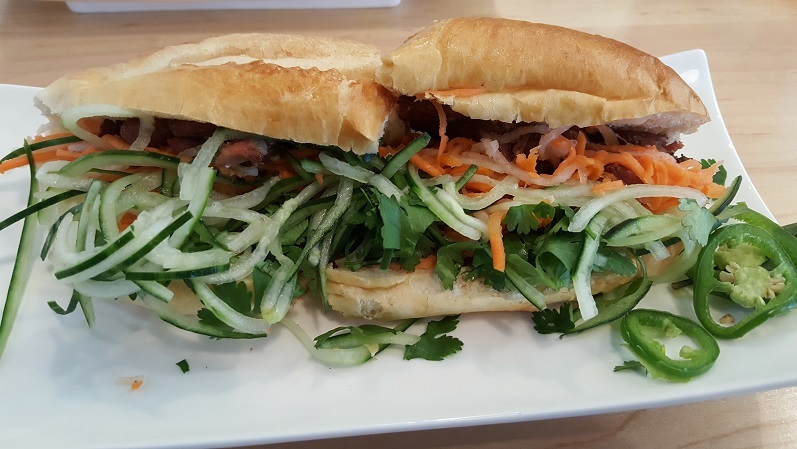 The Banh Mi comes in three styles. We opted for the charbroiled pork version. The bread had a nice crunch to it and was stuffed with cilantro, onions, carrots, and amazing broiled pork. There are fresh cut jalapeños serve on the side that definitely spice up the sandwich if that's your thing. The Cabbage Patch Salad begs to be posted to Instagram as soon as it hits the table. It looks like food art! 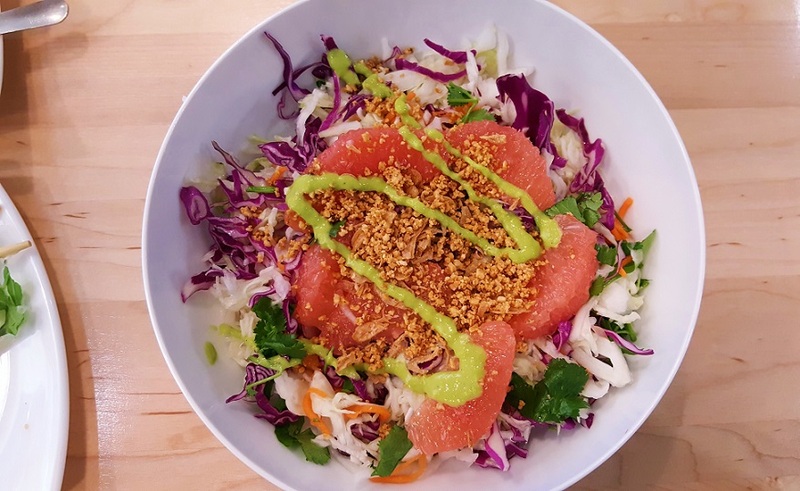 It's a shredded red and green cabbage salad topped with grapefruit and papaya! To set it off they also top it with crushed peanuts and a generous amount of honey ginger vinaigrette! It tastes as amazing as it looks! 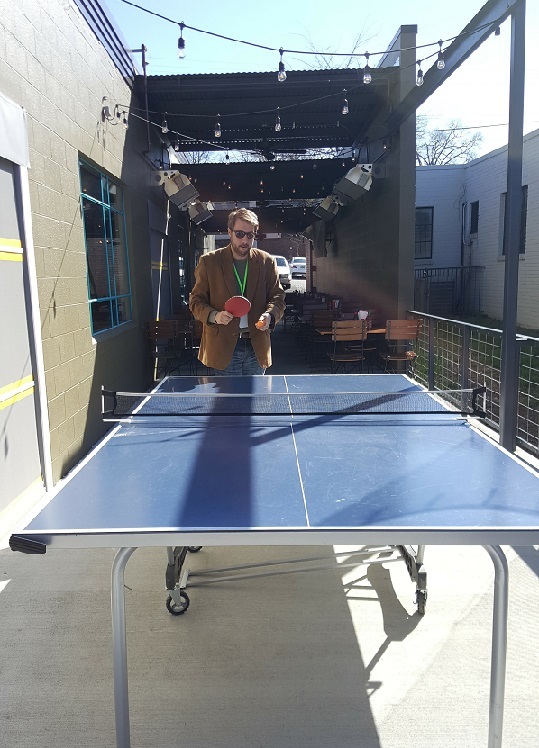 We had a great experience at Saigon Noodle House (and even got in a little ping pong on their patio)! Their #WRW2017 dinner menu also has great options to choose from. We might go back to try dinner as well! 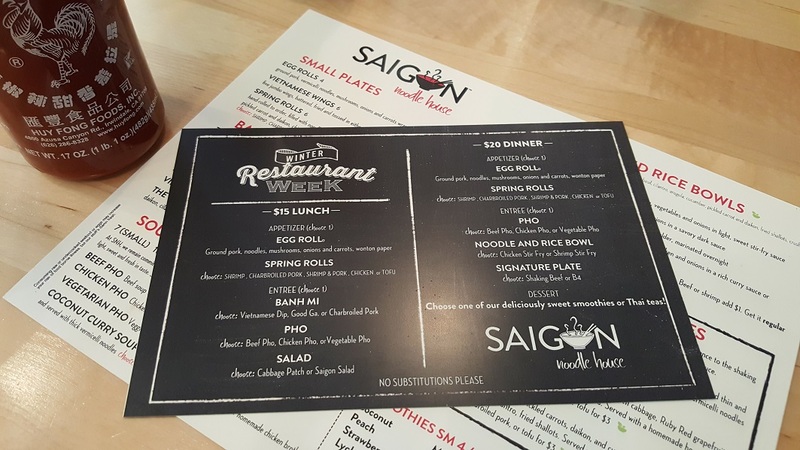 With great food, a fun atmosphere, and a large patio for this warm weather, Saigon Noodle definitely makes our Winter Restaurant Week "Must Try" list!